Are you looking for a Cheshire wedding venue with accommodation to take your breath away? Look no further than the unique, award-winning, Delamere Manor. Delamere Manor is an exclusive use wedding venue that also offers accommodation for up to twelve guests. When choosing your perfect wedding venue, it is important to consider how many guests you would like on your big day as well as if you will need accommodation for either the night before, the night of your wedding, or both! Fortunately, Delamere has six grand and gorgeous, yet warm and inviting suites that can be exclusively yours to enjoy and relax in should you opt to book the accommodation as part of your package. The benefit of having accommodation at your wedding venue is paramount. Everyone is aware that the lead up to your wedding can be stressful at times. Trying to remember if you have remembered everything, from the cake to the shoes to the flowers, you definitely do not need the added stress of wondering how both yourself and your guests are going to travel home. At Delamere Manor, set in the beautiful Cheshire countryside, we have six suites, each named lavishly after previous owners of the manor. 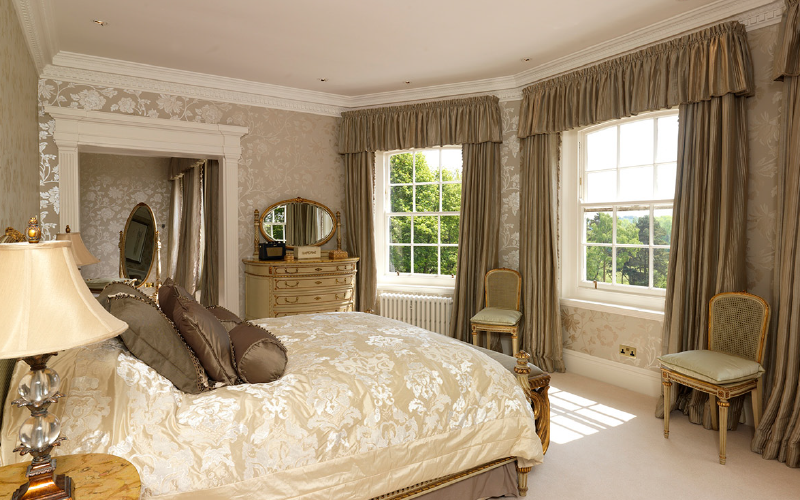 The perfect suite to wake up in, whether you rise the morning of your wedding or the morning after you’re officially married; the break-taking views down towards the lake and the freestanding double indulgent bath will most certainly add that extra magical touch to such a beautiful time in your life. So your room is covered but don’t forget about the lady that raised you! 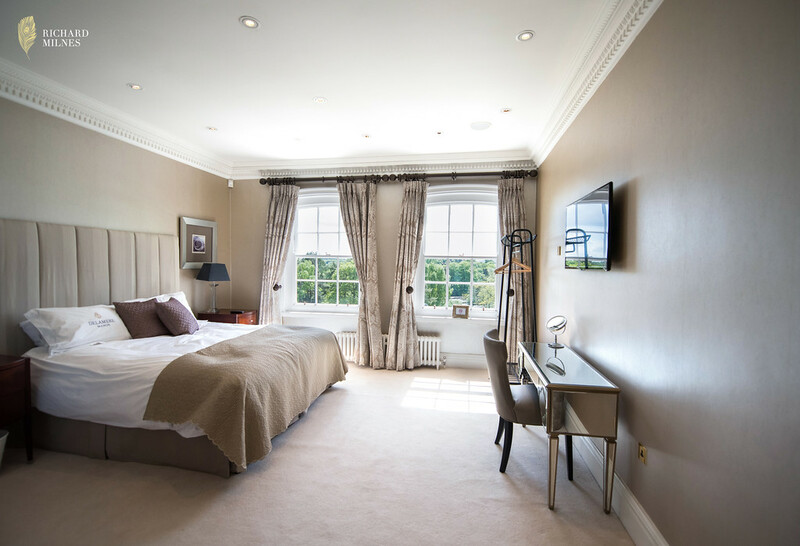 Decorated in warm, neutral tones, the stunning views over the manicured parkland and the king size bed will leave any mother of the bride or groom well rested. 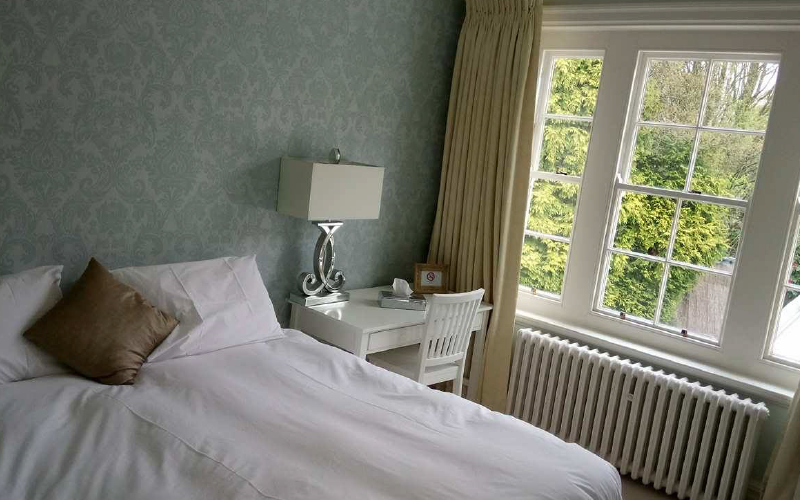 The Somerford Room features iconic Chanel lamps either side of the incredible cozy double bed. Offering a spacious en-suite it provides the perfect retreat. Do you plan to have children at your wedding? The Lady Stubbs Suite has a super king bed with the flexibility to include an extra single bed if required, perfect for those with children. 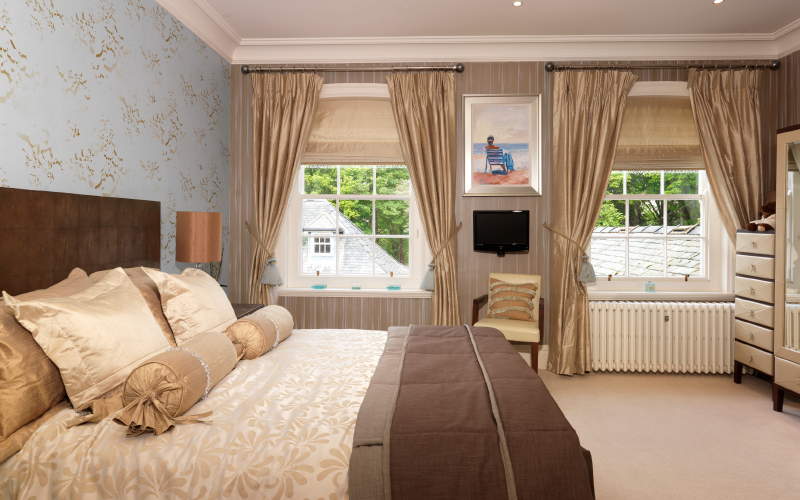 A beautiful blue and gold accented room featuring a double bed and a gorgeous en-suite with a walk-in shower. 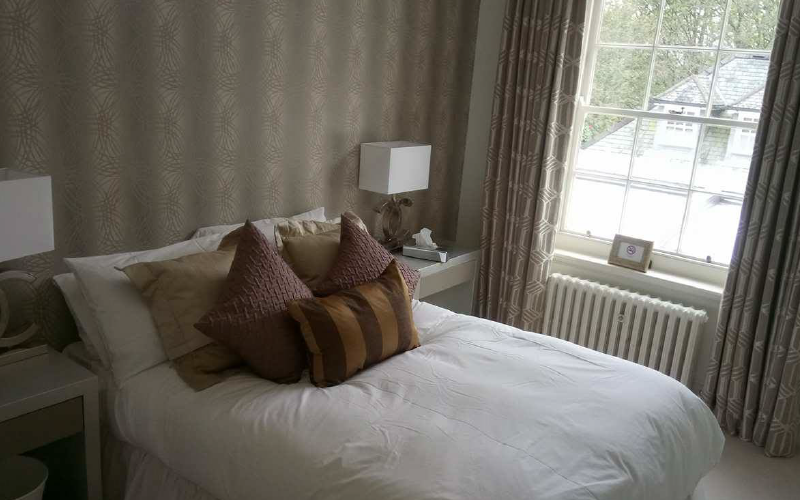 This room offers either a super king bed or two doubles, dependent on your requirements. Featuring a shared luxury bathroom with a walk-in shower and separate bath, this room offers all your guests need for a luxury stay. Would you like to visit the manor to find out more? We would love to welcome you to our gorgeous Cheshire wedding venue with accommodation to discuss your requirements. Just click here to contact us.